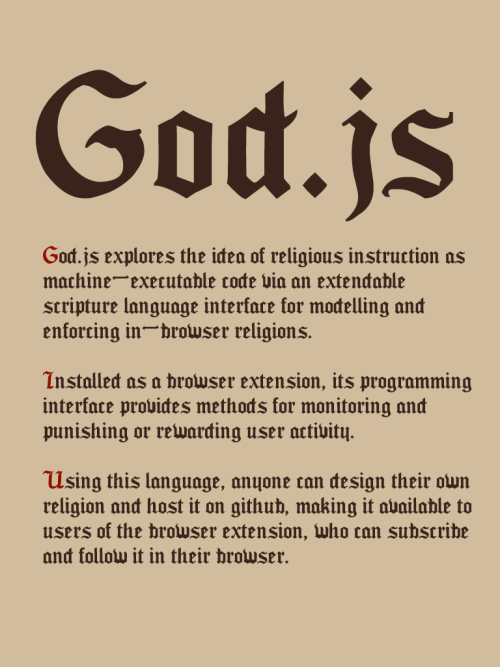 "God.js is a browser-based religion, a programming language that emulates scripture. 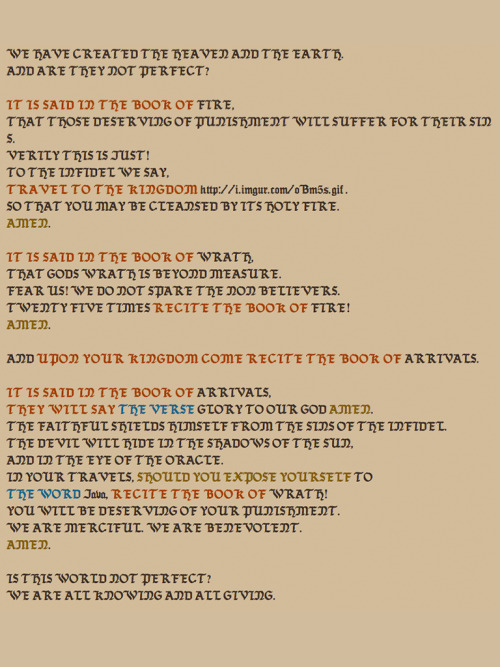 Incarnated as a Chrome extension, it enforces your expressed edicts as you surf, such as "Thou shalt not visit 4chan." God.js comments on our technological infrastructure, the power its creators have, and its ability to surreptitiously manipulate behaviors. Does technology prohibit certain paths of action, without us even knowing it or is supervision explicit? Who controls our behaviors online, what rules and norms regulate it? How does this differ from our lives AFK? Furthermore, God.js reminds us how discussions around technological choices often take on the character of religious wars within the community. What does it mean to fork this particular religion on GitHub, is it heresy to alter this religious text/code?